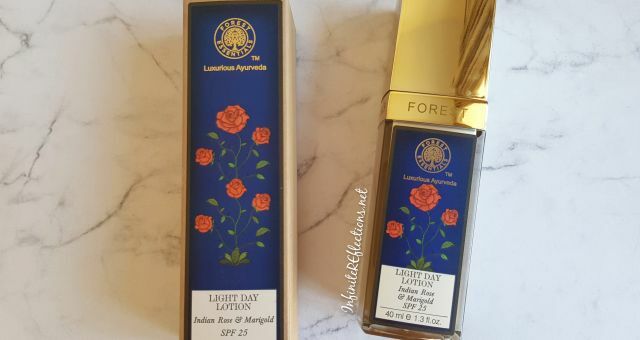 If you have read my previous post then you know that it wasn’t about the fragrance of the product. 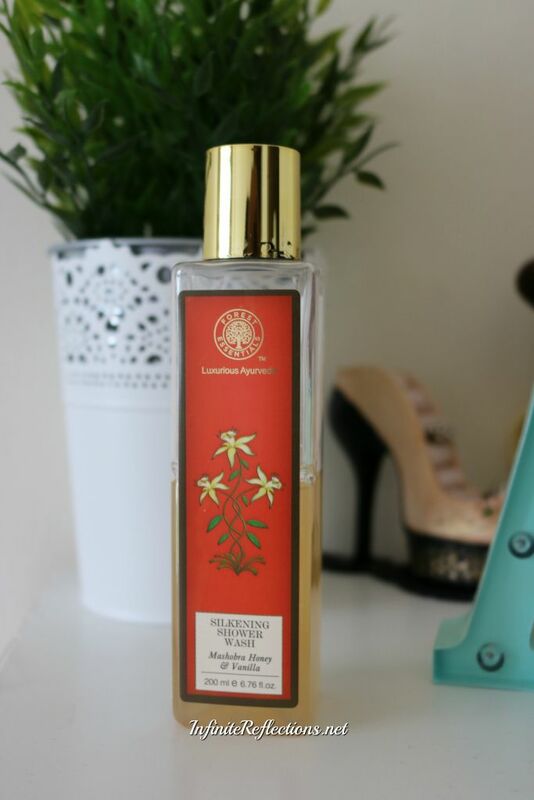 But, this post is all about the fragrance of the product and it is the Forest Essentials Silkening Shower Wash Mashobra Honey and Vanilla. This is probably one of the best smelling shower washes I have ever used and I will repurchase this only because of its fragrance. Of course there are more benefits of the product. Read on to find out more. 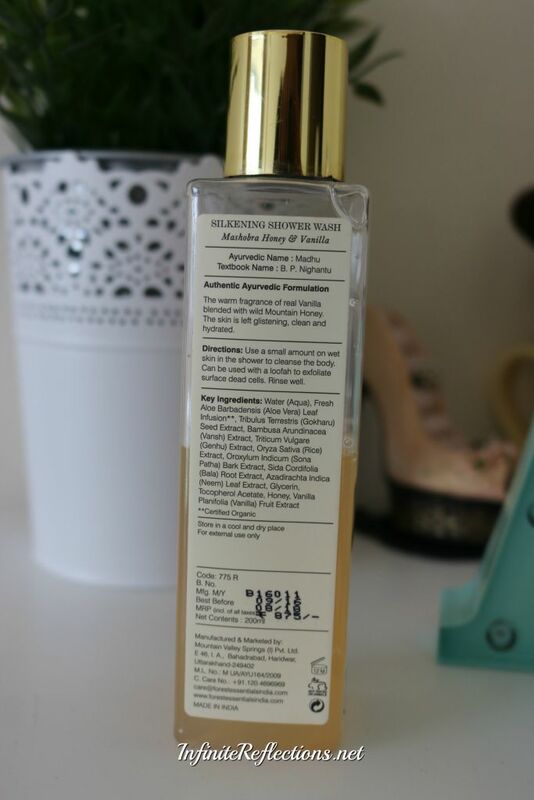 So, this is the Forest Essentials Silkening Shower Wash in the variant Mashobra Honey and Vanilla. This Shower Wash contains carefully selected herbs, as per Ancient Ayurvedic texts. Herbs like Genhu, Sonapatha and Bamboo gently cleanse the skin, known for their nourishing and cleansing properties. 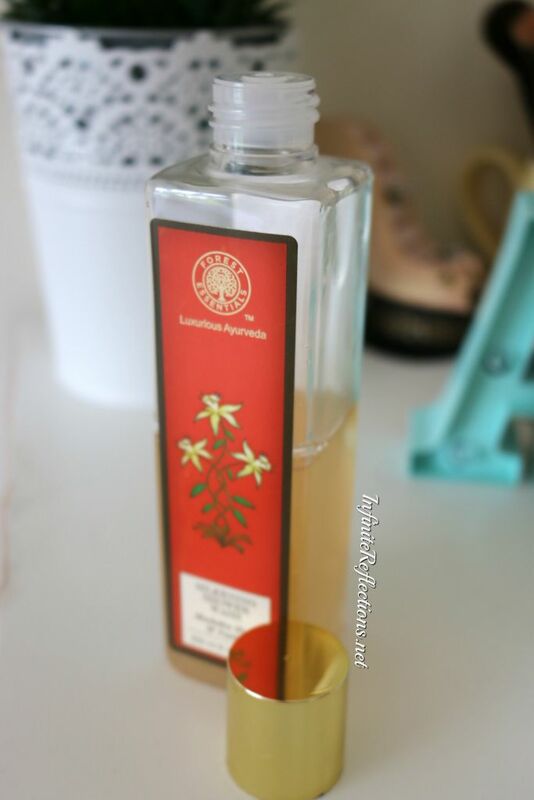 The warm fragrance of real Vanilla blended with wild Mountain Honey scents the skin and leaves it clean and hydrated. I am a little confused about the packaging of the product, so do correct me if I am wrong or if you have any information. I am a little puzzled that it is a standard plastic bottle which has a stopper with a hole so that you can get the product out. It looks like it is meant for a pump but I didn’t see any pump on any of the shower washes. What I have, looks kind of like a refill pack to me and honestly I would have loved to have a pump to get the product out. Other than that, the packaging is great. Well how much can you write about a plastic bottle with a cap on it! It’s basically just that. Here is the ingredient list for the product. 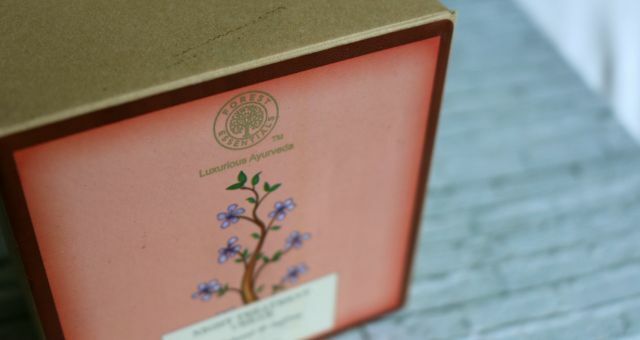 A lot of good Ayurvedic natural ingredients in it so definitely good for the skin. In this shower wash you get 200 ml of product and I think this is the standard size. It’s not a lot though, if you use it daily then it will not last you more than 2 months. I got it from a Forest Essentials store and it costed me Rs. 875/- , which I would say is pretty expensive for a body wash. 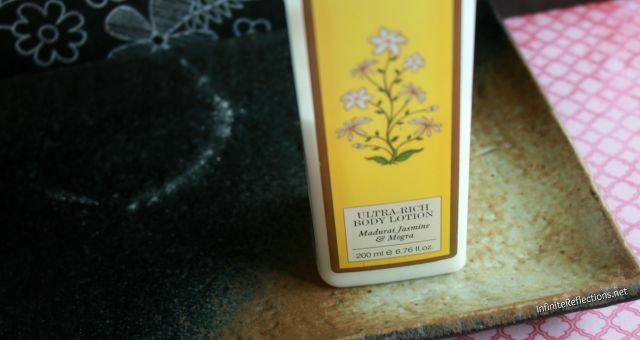 But, it is a high-end brand in India and it does have a lot of good ingredients, so if you want to splurge on a body wash this is a good option. Can you get the same ingredients in a much cheaper product? Sure! If you think objectively keeping aside the fragrance of this product, I did not find anything super extraordinary about this body wash. It is a very good body wash for sure. It lathers up really nicely and cleanses the skin very well. Most importantly, it doesn’t dry out the skin at all which is the most annoying property of many body washes. If you have dry skin, you will love this. But, anyone can use this as it doesn’t really come for a particular skin type. Overall, I would say that since this has a lot of natural ingredients, I can justify the price point and thankfully the product doesn’t disappoint either. So, if you are in the mood for splurging then do walk into a forest essentials store and take a whiff. For those of you who don’t have a store near you, then I would say that if you like a very warm fresh flowery vanilla smell then you would love this product. I am not very good with describing scents but that is a big USP of this product. the product doesn’t come with a pump since we are paying so much. That’s all for today’s review. Hope this was helpful. Wohi next time store mein puchungi .. kya pata yeh refill pack hi ho.. I went a little crazy last winter when I had gone to India.. got a bunch of things.. thankfully most of them are good.. but yes I feel we are paying extra for just brand name.